What started as a bunch of like-minded biker mates doing their own thing has generated a cult following and each show gets better – now they have 2 events for 2015 including the 2015 DGRide. 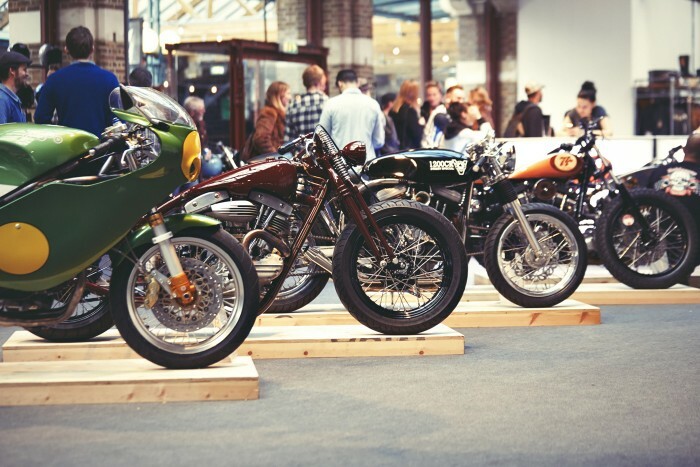 The Bike Shed will be in Paris at Carreau du Temple on 11th & 12th April then back in London at Tobacco Dock on May 22nd, 23rd & 24th, with more of the same high quality custom bikes from pros and shed-builders alike, plus all the art, photography, film, gear and superb hospitality, but most importantly, it’s a ‘honey pot’ for people like us to meet and share tales of new builds, road trips and rides. Keep an eye open for ticket sales on their blog, Facebook, Twitter & Instagram or Pinterest accounts. This is a ‘must do’ show for anyone who loves the new era of cafe racers, brats, specials and custom motorcycles and the lifestyle that surrounds them. See you there!